For many years, Christmas had meant different things to me … attending Christmas parties, getting together with friends that I don’t usually meet at other times the year, frantic and almost always last minute search for gifts (both for loved ones as well as for a silly ritual called gift-exchange), etc. But this year is radically different. Rather than drinking, eating and partying, I opted for something more solemn. 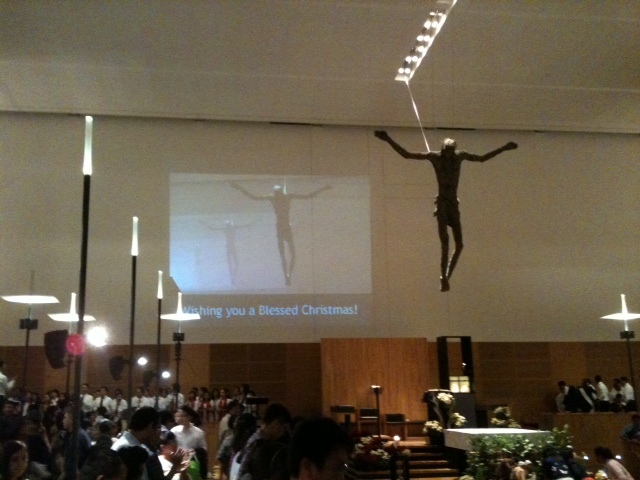 I attended a midnight Christmas mass instead, at St Mary of the Angels – my first since baptism last Easter. And Christmas took on a whole new meaning. It reminded me of the true meaning of Christmas, one that is often lost in a world where this special day becomes a festive event that businesses could take advantage of with promotions and specials. I hope you enjoyed the poem and experience Christmas in a new light from hereon.